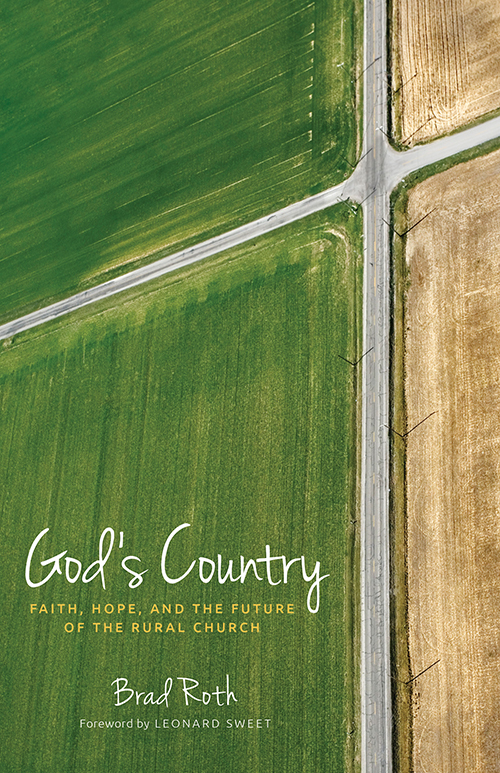 Bradley Roth, God’s Country: Faith, Hope, and the Future of the Rural Church (Herald Press, 2107). ISBN 9781513801612. $22.99. Reviewed by Kevin Wiebe, pastor of New Life Christian Fellowship (Tilbury/Stevenson, Ont.) and a member of the BCM. The word that comes to mind is “refreshing.” Brad Roth writes in way that is thoughtful, reflective and that is almost devotional in nature. His illustrations and points linger in my mind for a long time as I continue to reflect on his thoughts. Yet this book is also challenging in all the right ways. Roth refuses to slip into the common stereotypes of the rural/urban divide. He resists the temptation to look at the rural church in overly romantic ways, but neither does he scornfully dismiss it. Rather, he writes of both the joys and challenges, the strength and weaknesses of the rural church and how important it has been, is now, and will continue to be to the work of God in the world. Roth doesn’t speak pejoratively of the urban church either, but as it is a book about the rural church, much of the focus stays there. Where Roth does exhibit a large dose of skepticism, however, pertains to modern church growth tactics. He seems to be picking up on a growing frustration among many pastors (in my circles, at least) with the church growth industry. In a world where the mantra is that bigger is better and smallness equates to failure or inadequacy, many small-town pastors feel they don’t measure up and are failures in ministry because their church is not a mega-church. Roth does acknowledge that the number of people in our churches matters, not because we are supposed to be obsessed with numbers. It’s because numbers represent people—and it is for those people that Jesus died. Roth reminds the reader, however, that this is a very different thing than the empire-building notions that are found in much of the church growth literature available today. He reminds readers that the church is called to be a church, not an industrial complex or a power-hungry organization. Personally speaking, I resonate very deeply with God’s Country because it challenges and encourages me in the context where I find myself as the pastor of a small rural church. I would highly recommend this book, especially to anyone involved in or even interested in rural ministry.